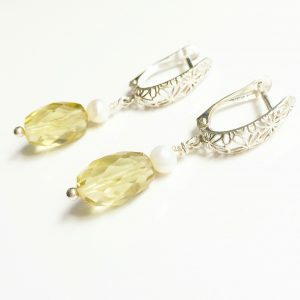 Elegant pearl drop and filigree earrings with lemon quartz, freshwater pearl and sterling silver. The pearl earrings have gorgeous lemon quartz faceted barrels. 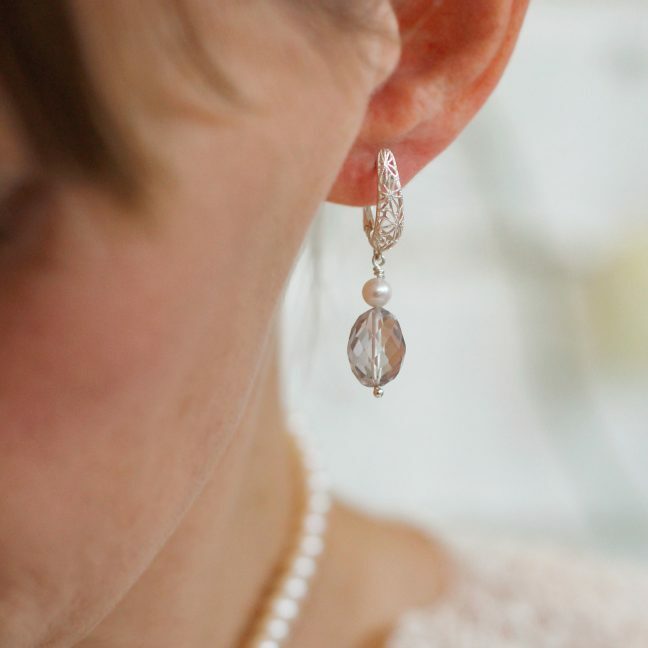 The pearls are freshwater and hand selected. The elegant floral filigree latch back is all sterling silver. 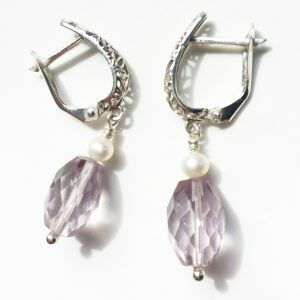 Lightweight and comfotable to wear, the earrings are 1. 5 inches in length. Our jewellery comes beautifully packaged in an elegant Me Me Jewellery presentation box. 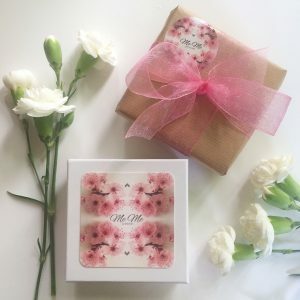 Pretty gift wrapping is available for a small additional cost on product page. 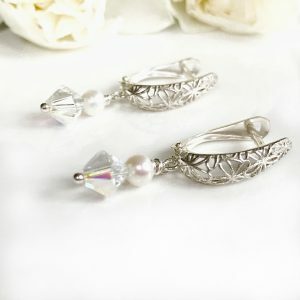 Would you like a different size or colour? 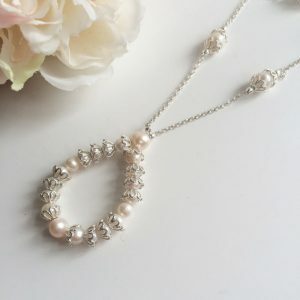 The jewellery can be custom made, so please just email and ask. 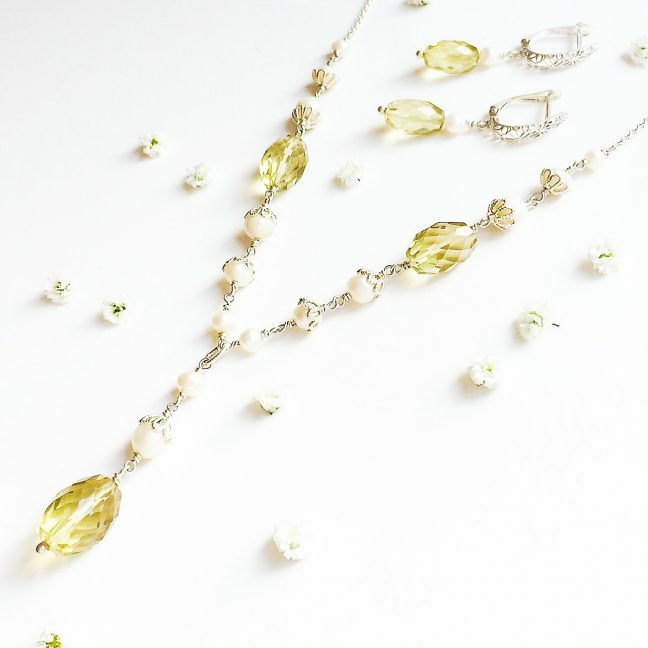 All gemstones are natural, therefore they may vary slightly in colour and size.